2018 is a year for the European Commission to reflect on the priorities to give to the energy-climate issue. The Juncker Commission will publish a communication at the end of the spring regarding its energy-climate priorities for 2025. In view of this the present paper describes the areas which might be given to the next European Commission to turn the Union's ecological leadership into a lever for industrial development, growth and sustainable employment. As the European elections 2019 approach and at a time when the guidelines of the future European Commission are being prepared, energy-climate questions have to find their place in the political agenda of the next 5 years. Whilst these featured particularly high in the list of the Juncker Commission's priorities, with the Energy Union, and formed the core of historic, international meetings in which France and its European partners played a decisive role - the Paris Climate Agreement in December 2015, the COP23 and COP24, the "One Planet" Summit on 12th December 2017 - Europe must explore the meaning of its commitment in the fight to counter climate change. The following document suggests that for Europe the fight to counter climate change is no longer just a question of politico-diplomatic leadership and pragmatic management of the co-responsibility of the advanced industrial economies in adapting to climate change. At world level the European Union now only represents 10% of CO2 emissions for 20% of world output. With the announcement of the USA's withdrawal from the Paris Climate Agreement in June 2017 the Union has an opportunity to transform climate constraint into industrial leadership with the promise of growth, employment and innovation, and gain a decisive comparative advantage in globalisation thanks to the conversion of its economy to ecological excellence. To do this the European Union has been implementing the goals that it set itself over the last fifteen years in terms of renewable development, energy efficiency and the modernisation of its energy systems according to the "3D" model - decarbonation, digitisation, decentralisation; and by stepping up to the next level with the launch of "Energy Union Act II". It is in the European Union's interest to turn ecological excellence into a pillar of its development and the transformation of its economic and social model. From an internal point of view this means offering the citizens of Europe an inspiring project. From an external point of view Europe can provide itself with vital comparative advantages in the international arena. The creative destruction caused by technological breakthrough is disrupting entire swathes of the old economy. Many doubt their ability to generate sustainable, job-rich growth. This is how it was with the digital revolution, and in the future, the same will apply to revolutions in artificial intelligence and robotics. In contrast to this, the ongoing revolution in the energy sector combines protecting the climate and social and societal benefits: the creation of sustainable jobs that cannot be relocated, a healthier environment, greater consumer comfort, greater energy independence for the Member States and at the end of the day, access to inexhaustible, renewable energy at marginal, almost zero cost. Businesses which rise to GAFA status in the energy sector might be the first world producers of common goods. The results of this will benefit their countries of origin - but not just them: the new world of energy will not be as greedy in capital as the last, the whole of mankind will have easier access to its decentralised, digitised technologies. 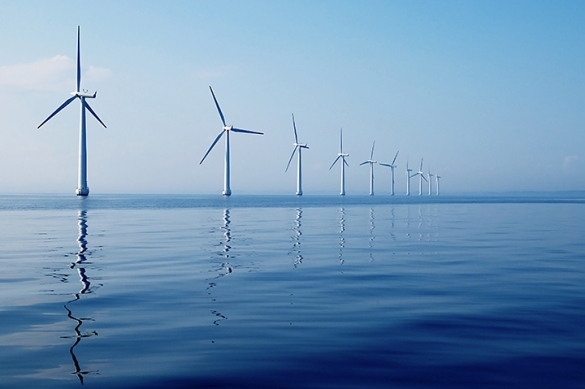 Europe has everything it takes to be leader in this new world of energy. Four of the ten biggest energy companies are European. Over the last fifteen years the European Union has developed an ambitious energy-climate policy, it has significant renewable energy resources and world know-how in terms of energy efficiency solutions. The Union can assert leadership in this area which has been relinquished to the American or Asians in the telecommunications or digital sectors. On the page of history now being written, energy transition is also about civilisation. After having given the world models of democracy, humanism, Enlightenment, of having given birth to the first industrial revolution, Europe has the means, thanks to its technological and social innovation resources, to create a sustainable model of society that is more respectful of Man and nature, which are totally interdependent; and for this to become a reference for the rest of the world. Turning Europe into a sustainable civilisation is an optimistic, federating project that can bring the populations of Europe closer together, heal the wounds of a decade of poly-crises and rebuild a Union which makes us confident about the future. The choice of leadership has to be undertaken by the European Union or this will be taken by the major emerging economies with investment resources and on much larger scales. China has ambitions to develop renewables with the support of staggering investment capacities. The green technologies that rely on cheap components that it is developing might swamp Europe and win the wager that is now emerging in areas as varied as storage, bio-photovoltaic or demand management via digitisation and the Internet of Things. To do this the Union must prepare itself to move up a scale, to the path of ecological excellence. So, how is this to be done? Over the next five years this ambition might comprise Energy Union Act II, to include real commitments to achieve energy-climate goals by 2020-2030. It also demands a roadmap by 2050 to lend credibility to its greenhouse gas reduction goals (reduction of 80 to 95% of its greenhouse gas emissions, in application of the Paris Agreement). 1) The completion of Energy Union "Act I" and by bringing renewable, energy efficient development goals up to their full potential. The Union's capacity to achieve its energy-climate goals by 2030 as set by the European Council of October 2014 (40% reduction of greenhouse gas emissions; 27% renewable energies and at least 27% energy efficiency) is being decided now. Deindustrialisation and the economic crisis affecting Europe since 2008 have been the surprise allies in the achievement of the greenhouse gas reduction goals and energy consumption by 2020, since they reduced the continent's growth potential and therefore mechanically, its greenhouse gas emissions. In a context of economic recovery, which we would like to be as long-term and as complete as possible, Europe must imperatively consolidate the commitments it made for 2030 and as far as possible achieve the uppermost thresholds of its goals, now under discussion as part of the Clean Energy Package. In this regard the goals of 27% renewables and 30% energy efficiency put forward by the European Commission in this package must be a lower limit, the foundation of an ambition that must go further. In regard to the renewable energy development goals, the spectacular decrease in the costs of these technologies allows the European and national authorities to be more pro-active. An economically sustainable trajectory can take renewables beyond the 30% mark of the mix in most European countries, which means a share of around 54% of renewables in electricity production. The inclusion of renewables in heating networks and the potential of biofuels are another path to green up European energy systems. The transport sector might also provide a vast outlet for renewable energies, via electromobility when this comes from a green source, but also via biogas and hydrogen, which are also called to play an important role in the future. Debate surrounding the level of the "renewable" goal should not mask the one surrounding the guarantees to deploy so that these are effectively implemented in the Member States. In each country investors need maximum visibility of the trajectory followed and the deadlines on calls for tender. It is therefore vital to have strong governance of European goals to lend credibility to the trajectories. The Commission might explore a bonus mechanism for countries which equip themselves to achieve more ambitious targets than the European 27%. In terms of energy efficiency, the Union can go further than the proposals put forward by the Commission (30% by 2030). Some States like France have set themselves more ambitious goals; hence the bill on energy transition for green growth of August 2015 brings energy savings efforts up to 35% by 2030. The Union would benefit greatly in this area if it were to overcome conservatism. Investments in energy savings comprise multiple advantages: energy that is not produced and not consumed is the least costly, the cleanest and frees Europe of its energy dependency. Moreover, energy services are job intensive, cannot be relocated and spread over all territories. Each euro invested in this sector is reflected in significant environmental and social benefits. Therefore, investments must be directed massively into high potential sectors, such as the construction industry, which represents 40% of the Union's energy consumption and in which 75% of the stock does not comply with standards; public investments must be mobilised massively to create efficient financing channels so that private investment is made there. There are many solutions to reduce the carbon print of buildings, such as large-scale renovation, insulation and the improvement of heating and cooling systems. Maintaining the binding nature of the 2030 goal and the strength of the obligation scheme in terms of energy efficiency (article 7 of the directive on energy efficiency) are another condition for the success of European policies. 2) Guaranteeing long term coherence of national and European energy-climate policies. Although the European Union is on the right path to achieve its goals to reduce its greenhouse gas emissions by 2020 (20% less than in 1990), this is mainly due to the change in its economy towards services, to high oil prices and to an increase fossil energy prices (until 2014), and especially to the economic crisis. Achieving commitments for the following decade is not guaranteed, in a context of economic recovery and the development of new consumption needs. Some signs should alert us to this such as the increase in CO2 emissions in a certain number of countries, notably in Germany, Europe's leading economy, due to the place given to coal and lignite in the production of electricity and emissions in the transport sector. It is therefore important for the next Commission to work hard on reconciling the goals in the Paris Agreement for 2050, with the present functioning of energy-climate policies, which end in 2030. The Union's capacity to deliver on its commitments might be challenged because of a lack of coordination between national and European policies, as well as contradictions in European instruments. - On the one hand defining long-term roadmaps describing the trajectories that the Union should follow, sector by sector, to achieve greenhouse gas reduction goals in an economically sustainable manner. Including national policies in the long-term reference frameworks is the true added value of European policies. These road maps are vital for decisions on major priority investments with long term pay-off, particularly in terms of energy infrastructures and alternative modes of transport. They should also help Europe to optimise interaction between the various sectors, which are increasingly connected due to technological developments, such as for example, the transport and energy sectors via electromobility and the development of alternative fuels. - On the other hand, spreading the idea of "carbon budgets" to all Member States, i.e. multi-annual ceilings on the reduction of CO2 emissions, already introduced in the UK and France to facilitate the steering of decarbonation of all areas of the economy. These budgets would enable the organisation of critical dialogue, on documented bases, between the Commission and national authorities regarding their decarbonation policy. The drafting of these instruments should lead to political debate at European Council level regarding the Union's goal in the second half of the century and its arbitration between sectors (energy, industry, construction, transport, agriculture etc ...); MEPs are proposing to include in the Clean Energy Package the goal of carbon neutrality by 2050. If this debate aims to gather strength then it must be taken outside of the European Parliament and be embraced by citizens and national policy makers. The current functioning of the European carbon market (EU-ETS) is not in line with the mid to long-term goals of the European Union concluded as part of the Paris Climate Agreement. The present per tonne price of CO2, at around 5-10€ for the last two years, and forecasts of future prices are below the levels necessary for the signal price to encourage or support transition towards a low carbon economy by making the corresponding investments profitable. This misalignment will not be corrected by the recently adopted reform of the EU-ETS (phase IV). It will contribute to the reduction of surplus quotas on the market, but it will not correct long-term imbalances. Moreover, the new energy efficiency goals and development of renewables as part of the Clean Energy Package will depress the per tonne price of CO2 if no coordination measures are taken. Additional energy efficiency goals will mechanically reduce carbon prices by 35% to 55% by 2030 (for 30 and 35% energy efficiency respectively). The lack of coordination between European policies and national measures is also to blame in the structural weakening of the EU-ETS. - taking specific action for the electricity production sector, in which the source of CO2 emissions reductions is easier to access. Indeed, it does not require any further investment, but in a context of overcapacity, the decommissioning of the oldest power plants that emit the most and which are fuelled with coal or lignite. Studies show that to do this a minimum carbon price of 25-30€ has to be reached to trigger the substitution of coal by other energy sources that are poorer in carbon, such as natural gas. Two paths might be taken. The first is to create an "EU-ETS Energy" setting an accelerated decarbonation trajectory in contrast with the present EU-ETS, which includes industrial emissions and is, therefore, limited by European industry's external competitiveness imperatives. The production of electricity does not suffer the same constraints and needs a significant carbon price to be able to lead future investments towards low carbon technologies. The second path comprises the implementation of minimum carbon prices at national level. Such a carbon price floor would not be implemented through EU mechanisms, because of the political deadlocks mentioned above, but through national laws, which features would be harmonised. A coalition of willing Member States, in the shape of additional taxation to the EU-ETS, as introduced in the UK in 2013, announced in the Netherlands as of 2020, and as put forward by President Macron for France and some other pro-active countries. This is the easiest political path to circumvent the political deadlock imposed by Poland and the States that are most dependent on fossil energies against any new measure taken at European level. Given the Union's climate commitments coal no longer has its place in the European economy in the long-term. At present coal-based energy production still represents 18% of the Union's greenhouse gas emissions and 42% of the CO2 emissions within the EU-ETS perimeter. The EU also has a fleet of old power plants, two thirds of which are more than 30 years old. The plants that produce the most emissions are concentrated in a limited number of countries (Germany, Poland, Netherlands, UK, Greece, Italy). It is an environmental problem for Europe because this also affects public health, due to the local emissions of particles and toxic gases that go hand in hand with the combustion of coal. In this context Energy Union Act II might act assertively in two ways. - The first would be to establish an immediate moratorium on the construction of any further coal-fuelled power plants. Because of the urgency of the climate issue Europe must end the paradox of allowing further investments in coal, whilst resources that emit less CO2 are available and that the cost of the renewables has been dropping dramatically. Mentalities have developed in the right direction in Europe, as shown by the Eurelectric declaration signed in 2017 by the energy companies in 26 of the 28 Member States (except Poland and Greece) which committed not to invest any further in coal on the horizon of 2020. - The second would be to offer a Marshall plan to coal dependent countries setting out the commitments of the States for a timetable to end the use of coal and for financial compensation in support of industrial and territorial reconversion. Closing coal and lignite powered plants established in Europe would enable a drastic reduction in CO2 emissions in electricity production of around 20% in under 10 years. Germany and Poland alone would contribute to 60% of the reduction of these emissions. This is key to lending credibility to European commitments to reduce emissions, but also one of the most sensitive to address, given the economic, social and cultural role that coal has in many European regions where this resource is extracted and burnt in power stations. Energy Union must at all costs avoid the stigmatisation of the regions concerned and avoid dividing Europe through authoritarian measures. European policies must therefore demonstrate their ability to produce examples of successful economic and industrial reconversions. This must take a pragmatic path which is that of incentives: for the States which believe they are ready to commit to this path, this means coming to agreement over a timetable to end the use of coal with the European authorities, in exchange for a "Green Marshall Plan" in the regions concerned by the closure of mines or coal production sites. The latter would be financed by dedicated lines in the European structural fund and the cohesion policy. This kind of initiative should be triggered within the next few months as part of the negotiations over the future multi-annual financial framework post-2020. 5) Directing private investments massively towards low carbon solutions and energy efficiency projects. Making even greater private financial investments is a major stake. The private sector already takes on 70% of adaptation spending to climate change worldwide. On 8th March 2018 the Commission announced a global action plan to place the financial markets at the service of the green economy. Meeting this ambition requires the three following actions: the integration of sustainability criteria so that asset managers and institutional investors factor in environmental risks more; the implementation of a "green supporting factor", in the financing of energy transition reflected in an easing in prudential rules surrounding financing and investments in green assets; finally the inclusion of environmental and societal factors in the mandate of the financial supervisory authorities. The action plan undertaken by the EC is less ambitious. The energy sector is experiencing radical revolution driven along by the decentralisation of production, the reduction in the size of production capacities and the combination of energy and the digital sectors, which is leading to the optimisation of energy production, transport and consumption. More breakthrough innovations will be made in this sector, causing deep change to the means of energy production, transformation and consumption. Innovations are being developed in company laboratories and research institutes. Some have all the qualities to reach industrial maturity, such as submerged turbines using tidal energy, organic photovoltaic, third generation biofuel (algae), innovative methanisation techniques. Others are potential game-changers in the management and coupling of energy systems, such as power-to-gas, which will enable the storage of surplus electricity production from renewable sources, in the shape of green hydrogen or synthetic methane, storable and readily available for multiple uses. Support to research and the development of projects, from the laboratory to the prototype, then the design of support systems adapted to the near-market stage are factors that will transform innovation into profitable industrial sectors. The European Union has eminent added value in this regard and tools that it must place at the service of the green revolutions. The future European framework programme for research and innovation - FP9, the successor to Horizon 2020, whose major post-2020 guidelines are now being discussed - should grant greater importance to climate and environmental innovation, and by doing, provide easier access to businesses, notably SMEs, via the easing of controls and administrative simplifications. Storage, electricity mobility, green gases and solutions with hydrogen will emerge more rapidly by the massification of instruments designed to reduce investor risks in the new green techs and by the greater combination of public and private research. In the same way that the technologies of the CERN and the DARPA put together the bricks of certain smartphones, public research centres should contribute to energy innovations of the future. These ambitions also suppose that the Commission completes its intellectual conversion in support of a truly European industrial policy, which helps towards improved competitiveness of industrial companies, protects strategic industrial sectors, supports their innovations and the combination of energy transition and the digital revolution. These six guidelines are not exclusive to other measures that are expected by European citizens, such as the fight to counter energy precarity. But they are an outline for a development model that can capture a maximum number of growth and job opportunities that emerge from energy transition, whilst preserving the competitiveness of European industry. These choices are within the reach of European decision makers. They can set out the positive agenda that the Union needs to revive and recover support on the part of the European public. Published in November 2016 the "Clean energy Package for all European Consumers" adapts the main European rules in the organisation of the electricity markets, renewable energy development, energy efficiency and the energy performance of buildings for the period 2021-2030. Negotiations for this package should be completed in 2018. This will include and update energy climate goals 2030 in European law as decided by the heads of State and government at the European Council of October 2014. The European Commission's proposal takes up the 27% of renewables again and brings the energy efficiency goal up from 27% to 30%, since this is due becoming legally binding. As part of the discussions between the EU Council and the European Parliament, targets are being discussed of up to 35% renewables and just as much regarding energy efficiency. A study by the International Agency for Renewable Energies (IRENA) published in February 2018 concludes that the EU might bring the share of renewables in the European mix up to 34%. The countries of Europe might save up to 25 billion dollars by 2030, by investing to a total of 73 billion dollars in all types of renewable energy. An ICIS 2016 study for Eurelectric deems that the combination of national support policies alone to renewables might enable a 7% reduction in CO2 prices. The same study indicates that the decision to close coal-fired power stations in Germany would reduce the price/tonne CO2 by 15%. A European association representing the electricity industry.